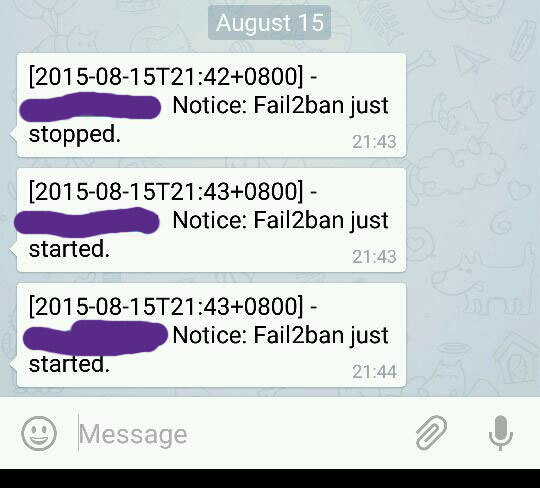 This is a a guide to integrate Telegram messaging service Fail2Ban. With this integration, Fail2Ban notification will be sent through Telegram services. You need to have Fail2ban installed in your systems. The content of “telegram.conf“ is as follows. init = 'Fail2Ban Telegram plugins activated"
Then, you need to create a script file in “/usr/share/fail2ban/fail2ban-telegram.sh“. # to alert server administrator of ip banning. echo "Usage: $0 action [ip]"
echo "Where action is start, stop, ban, unban"
echo "and ip is optional passed to ban, unban"
msg="[`date -Iminutes`] - `hostname`:  Notice: $1 "
After that, you need to ensure that the script is executable, by running. Then, you need to edit “/etc/fail2ban/jail.conf” file to hook the action plugin with events. In this case, I choose the ssh and sshd events. Then proceed to find the [ssh] and [ssh-ddos] part. Add ‘telegram’ config in the file. Replace the “webmaster@example.com” email address with your email address. Now go to the “ssh-ddos” section, repeat the same step. Finish up by restarting fail2ban server, and if you done it correctly you will be receiving both telegram messages and email notification regarding fail2ban startup! How to quickly become firewall expert with UFW ! Uncomplicated Firewall (UFW) is a helper tool which allows you to quickly setup iptables firewall in any Ubuntu server. It is installed by default and it allows you to secure your server at no time! You can check UFW by running this command. 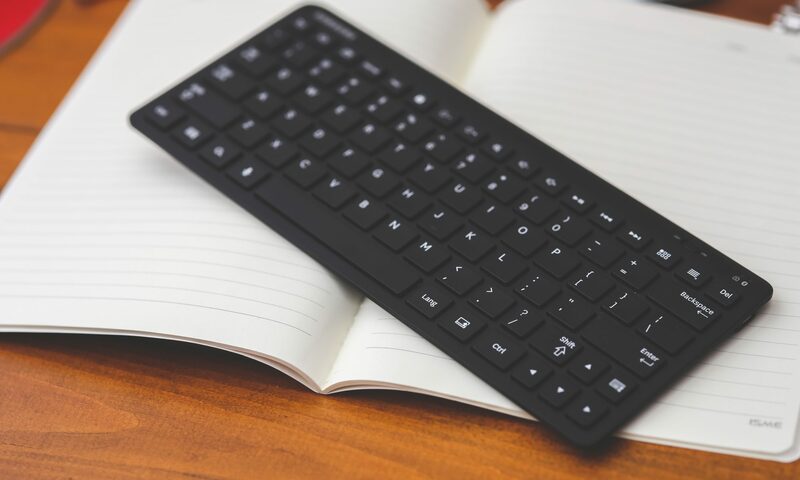 The verbose argument prints additional information such as UFW profiles, logging settings. The ‘numbered’ argument prints the list of rules with line number. I’ll explain later on the use of this feature. You can easily enable and disable firewall by specifying ‘disable’ and ‘enable’ argument. Warning : Please do not enable UFW if you’re connecting using SSH connection to your Ubuntu box, you might be disconnected. A lot of you might be connecting to Ubuntu box using SSH connections, so the first step is to setup a default rule and enabling SSH connection. In this case, I will only allow certain ip address to connect to my SSH port. OpenSSH usually listens on TCP port 22. However, there are some people who wish to change OpenSSH port to avoid brute-force bot attacks or to avoid from being blocked by restrictive firewall. Save, and restart ssh server. The example above shows a configuration which lets OpenSSH to listen to port 22, 443 (TLS/SSL) and port 8080 (HTTP-PROXY), these are the ports that usually unblocked by corporate firewall. Don’t forget to restart ssh service as soon as you’ve save the file! !